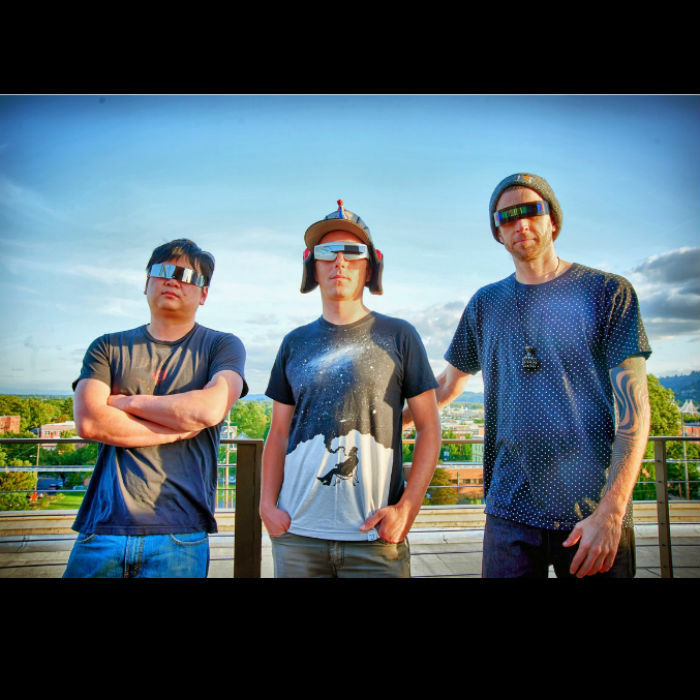 Yak Attack is a live electronica power trio from Portland, Oregon. Founded in 2013, the band has experienced steady growth over the past few years and has been building buzz by touring frequently throughout the Pacific Northwest, California, and the Mountain West. The group’s music is best described as “organic electronica”, using skillful playing, live loops, and tightly constructed songs combined with raw improvisation to build high-energy and uplifting dance music from scratch, where every note is played and recorded live. The band draws on influences from a wide spectrum of electronica, such as house, drum and bass, and breakbeat, along with elements of jam, funk, and jazz. The result is a live show that is musically sophisticated but widely accessible, with a diverse and engaged fanbase that travels to out of town shows and continually returns to see what the band will do in its next live show. Yak Attack has been selling out local and regional shows and is continuing to build presence in regional markets, along with developing a reputation as “the region’s go to late night act” in the summer festival and afterparty circuit. They have shared the stage with many established or up and coming acts such as TAUK, Turkuaz, The Magic Beans, Break Science, Funk Hunters, and Fruition. The band is currently working on its third studio album (expected release Spring 2018), continues to ramp up its tour schedule, and looks forward to bringing its unique dance party to a venue near you.